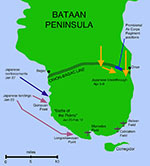 The Battle of Balikpapan begins. This battle will end on January 25, 1942. Also on January 23, 1942: The Battle of the Points begins. This battle will end on February 12, 1942. The Battle of Balikpapan ends. This battle had begun on January 23, 1942. The forces of the United Kingdom retreat from Malaya to Singapore. 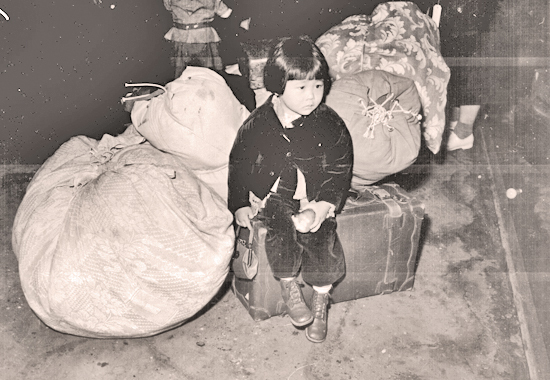 Japan had started invading Malaya on December 7, 1941. The Battle of the Points ends. This battle had started on January 23, 1942. The Battle of Lombok Strait begins. This battle will end tomorrow, February 19, 1942. The Battle of Lombok Strait ends. This battle had begun yesterday, February 18, 1942. The Battle of the Java Sea is fought. The Battle of Sunda Strait begins. This battle will end on March 1, 1942. The Battle of Sunda Strait ends. This battle had begun on February 28, 1942. Bataan Death March. 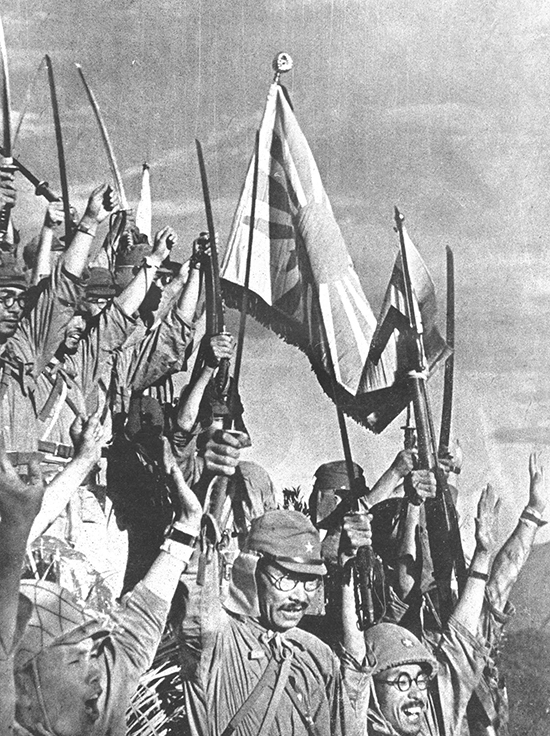 The Japanese force 100,000 American and Filipino prisoners of war march across the Bataan Peninsula in the Philippines. Original The Tribune Front Page — Manila, Philippines - Friday, April 24, 1942 - "Bataan Completely Occupied by Japanese"
Japanese troops on Bataan, Philippines, 1942. The Battle of the Coral Sea begins. This battle will end on May 8, 1942. The Battle of the Coral Sea ends. This battle had started on May 6, 1942. The Battle of Midway begins. This battle will end on June 6, 1942. The Battle of Midway ends. This battle started on June 3, 1942. The Battle of Stalingrad begins. This battle will end on February 2, 1943. Eugene Bridoux becomes French war secretary, secrétaire d’État à la guerre.